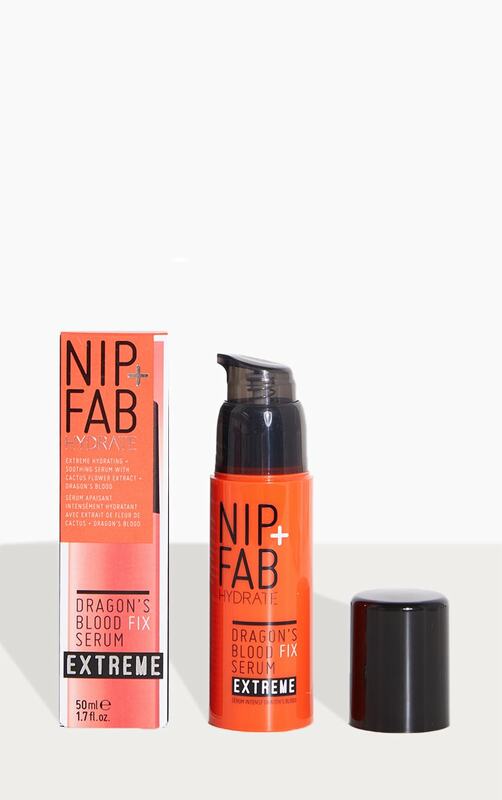 Treat all skin types to the NIP + FAB Dragon's Blood Fix Extreme Serum; a soothing and ultra-hydrating formula that smooths, firms and revives your complexion.Fortified with double the amount of Dragon's Blood (Croton Lechleri tree sap) as the original solution, the fast-absorbing serum delivers an instant burst of moisture, whilst its blend of Cactus Flower and Hyaluronic Acid soften and plump to promote a healthy, youthful visage. 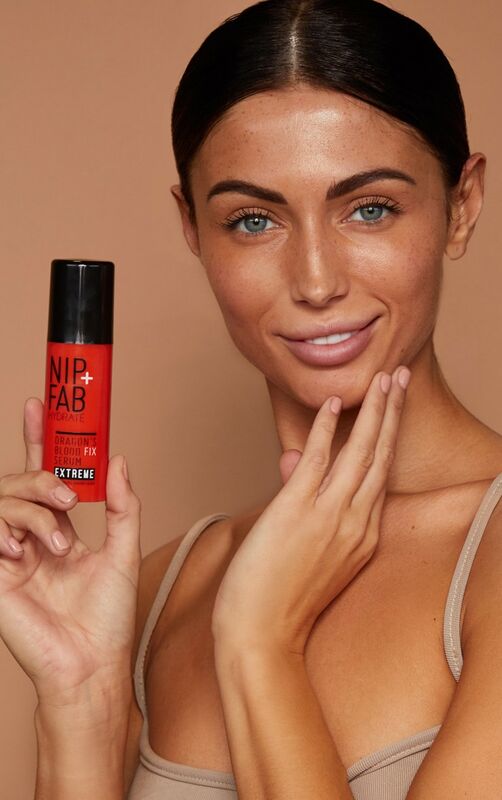 The lightweight formula creates a protective film to help shield against environmental aggressors, leaving skin feeling comfortable and replenished around the clock. 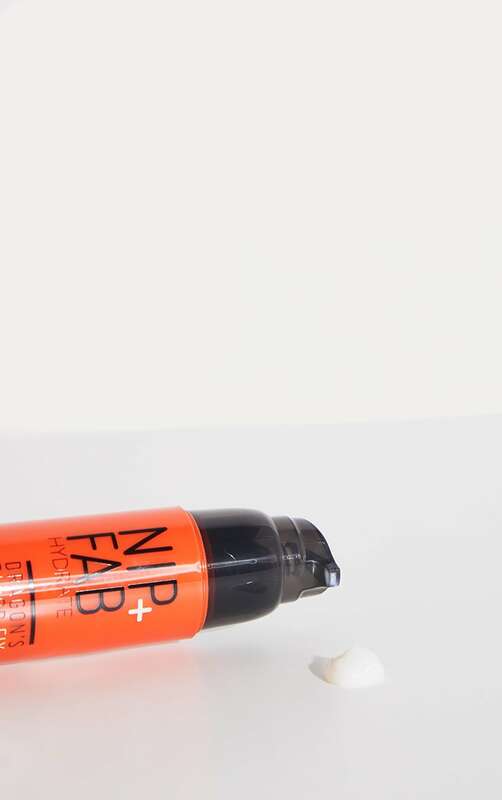 Ideal for those suffering from dehydration, sensitivity or redness.